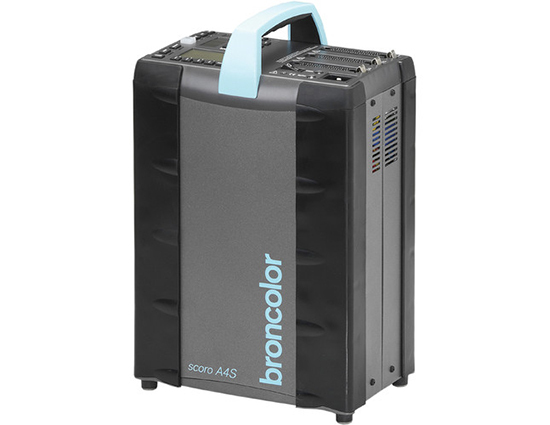 A company already known for creating benchmark products, Broncolor raises the bar to even loftier heights with the introduction of the Scoro A4S 3200 W/S Power Pack. It provides independent 1/10 stop control of each of three flash heads with very short flash durations, selectable color temperature and a new feature: ECTC technology (Enhanced Colour Temperature Control), aimed at preventing color shift over the entire output range. Controllable from camera or computer via the built-in RF receiver, the pack also features sequence, delay and interval functions, to name a few, in addition to a sleek new design. Besides speed, power and style, the hallmark of a Bron pack is consistency: digital controls can be returned to exactly the same settings an hour or a year later.